Before you guys proceed, let me first warn you regarding flashing this phone as it will void your warranty and chances are like my case will end up with a brick (well that’s what the technician said). If you’ve been following my case here, you can clearly see why I’m pretty much upset about the whole matter where I only managed to use this phone for 1 week before it died on me. Their tech fellas can’t fix it so most likely they’ll be sending me back a brick. Never the less, I will disect the phone once I get back to see what I can do with it later. Josh told me someone managed to flash their China Variant phone to the latest Global Oreo ROM, as the current firmware on Xiaomi’s website is running on 7.1 that had problems with the camera. But unfortunately, the original poster got taken down but that didn’t stopped us from trying to obtain the leaked ROM. With the thanks of Google Cache we were able to download the ROM and successfully flash the global ROM onto our China Variant devices. So Google works right out of the box, and everything works just the way it is. From what I understand from Josh was that, network download speed seems to improved a lot. I didn’t do the test before I flashed to the new rom so I wouldn’t know. By default, your phone boot loader is locked. Because we are required to flash an unapproved firmware by Xiaomi, we need to unlock it by sending a request here http://en.miui.com/unlock/. You need to sign into your Mi Account (I suggest using your phone number), and once you are in it would ask you why you need to unlock your boot loader. Just let them know you want to flash to a global rom which requires it to be unlocked. Now for me it took about 20 minutes for them to approved, where as Josh got his unlock in less than 5 minutes. Probably the main reason is that they were working that time, hence didn’t need to wait as long as other stated. So once you received the text message stated your account has been given permission to unlock the boot loader. Follow the instruction from the website, and your phone will be unlocked after that. 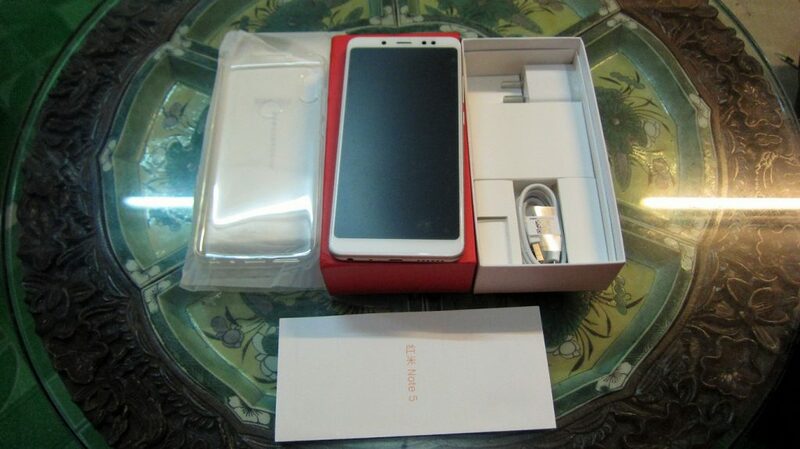 To do this I had to use XiaoMiTool, which pretty much is automated. But before you run this program, you need to make sure that you enabled USB Debugging under the developer option. To access developer option you need to go into Settings –> About Phone –> Tap MIUI version 7 times to enable Developer Options –> Press Back one time –> Additional settings (Under System & Device) –> Developer Options –> Enable USB debugging. Once you enable USB Debugging, connect your phone to your PC and run the XiaoMiTool. Please take note that it will prompt you to trust the device on your phone, just tap OK. The software will then prompt you to select your device, so select your Redmi Note 5. Here it will do some standard checking to see if your boot loader is unlocked and etc. So don’t worry when your phone reboots a few times, as it’s perfectly fine. Because the phone got restarted, you may need to approve the access on your phone once again before proceeding to flash your phone. Once it prompts you to select the ROM you want to install, choose the first one Global ROM Version 9.2.7.0 NEIMIEK. Then click on Select and you should be downloading the firmware and it will prompt you once again that it will flash your phone. 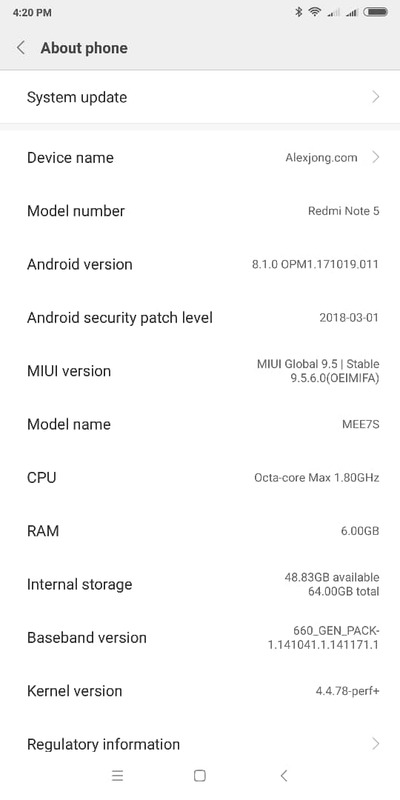 Now in the event once Xiaomi officially release the Global ROM version 9.5.6.0 OEIMIFA, select that ROM instead and you don’t have to proceed anymore. After you completed flashing your phone. Do a quick setup on your phone, so that you can get into the main home screen. Don’t have to connect to wifi or set up your MI account for now. Once you’re in, just copy the Oreo ROM onto the phone internal storage. Once you’ve done that, it’s time to flash your phone. Go into fastboot mode by doing the following. 2. Press and hold Volume Down & Power Button. 3. Go to the location of the TWRP image you downloaded. 1. Select Swipe to Allow modifications > Wipe > Advanced Wipe. 2. Select Dalvik/ART, Cache, Data, System, Vendor then Swipe to Wipe. 4. After flashing Wipe Cache and Reboot. DONE. Once your phone restart, you can now set up accordingly. Congratulations on Running Oreo 8.1 global rom version.